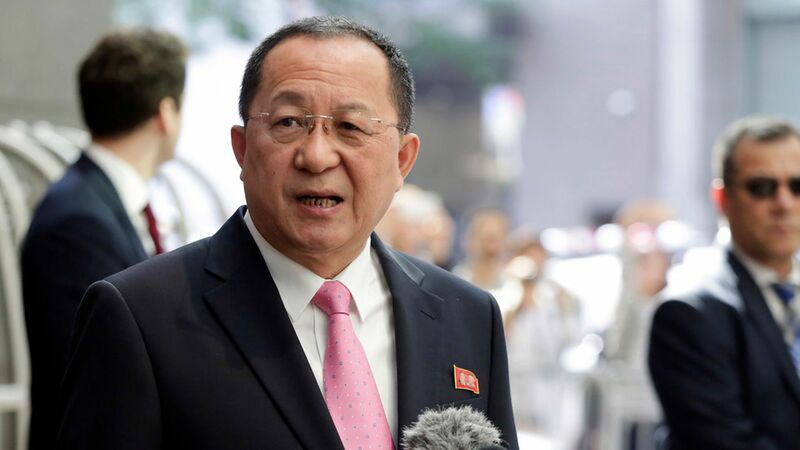 North Korea says U.S. has "declared war on our country"
North Korea's foreign minister, Ri Yong-ho, said Monday that President Trump has declared war by tweeting that North Korea "won't be around much longer" if the foreign minister "echoes thoughts of Little Rocket Man," per AP. "The whole world should clearly remember it was the U.S. who first declared war on our country." What's next: Ri also stated that the tweet has given Pyongyang "every right" to take countermeasures such as shooting down U.S. bombers even when they're flying outside North Korea's border.